I buy inexpensive V-cutters for milling printed circuit boards (and recently switched to 20°, sharper ones). 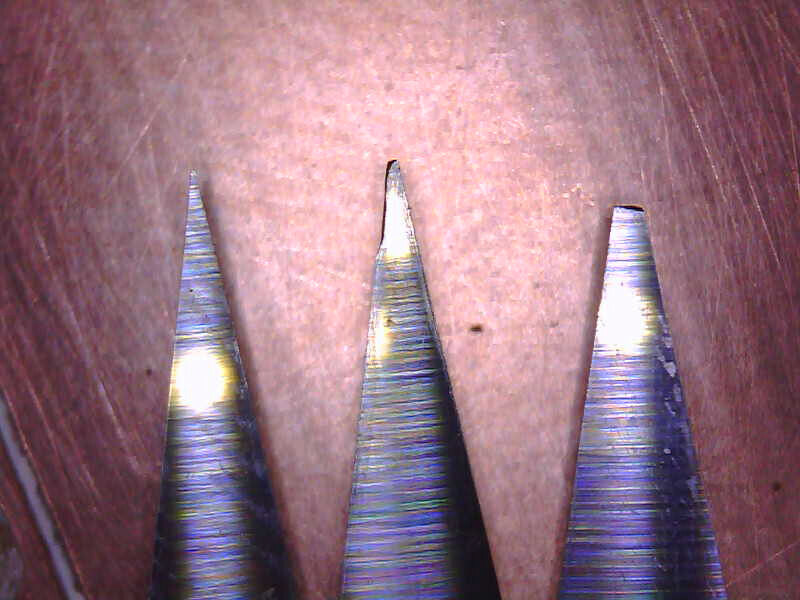 Often, the very end of the cutter breaks on the first contact with the copper layer (it is just so delicate). Usually I have either to compensate for the missing Z depth manually, or restart the job... else it will not carve enough and will not go through the copper layer. From now on I think I will break the tip of the V-shaped mill bit myself before using one! Why? V-cutter for milling PCB: pristine, slightly damaged and obviously broken. But the last one is my choice! Here are three different command I use to look for a linux package. The first one is super verbose, but it lists all sub-packages. The second one is a command to install via ''sudo apt-get install apt-show-versions''. I use it often as it also lists whether the package is already installed or not. The last one I forget all the time. It will show which packages are, or were, installed on your system. It is concise and it lists the architecture (32/64 bits versions). For example, here are the three output when looking for SDL dev (which stands for "simple direct media layer", a lightweight and cross-platform framework to develop graphics and access to low-level resources). Thge ''ii'' flags mean here "currently installed", i.e. I already have them. You can read about other installation status flags here. VLC adds 330Mo to a raspbian distribution just to stream video to the network. This is huge! Instead there is a smaller solution, with adds "only" a few dozens megabytes of buliding tools (mainly). It just interfaces the nice standard V4L2 driver and streams it to a RTSP feed (i.e. Real Time Streaming Protocol). This is also very efficient as minimum buffering is done locally, which means faster response time (time lag is "only" 2 seconds, which is decent). BTW some additional/alternative info for the Raspberry can be found here. You need ''gprof2dot.py'' (specific standalone tool) and the regular package ''dot'' (from graphviz). Note that the ''-g'' debugging option is required. Note also that any code optimization flag, like ''-o3'' (aggressive speed optimization), will significantly impact the code layout, and it will be much harder to recognize the profiled sections. It is much easier to read when most optimizations are tuned off (''-o1'' or ''-o0''). But there is a nasty trade-off... Without optimization, the overall program will certainly behave differently than in production. It will not spend the same time in the same routines. Reciprocally, with full optimization you are closer to the real program you want to probe... but it will be sometimes just impossible to recognize the source code and unrolled functions that the profiler points to. Sometimes there is a trade-off doing it "low level", but how much I learn everyday! I eventually discovered, the hard way, why radio receivers with automatic gain control (AGC) do need compulsory seemingly "useless" preambles for them to adjust their volume properly, for the real data to come. No signal? The gain is adjusted to get one. So we read radio noise! 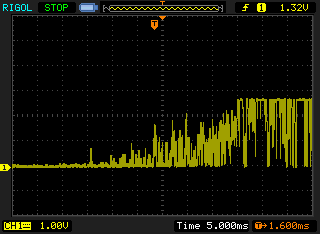 By the way, this radio module took about 30ms to fully adjust its gain. Once I re-think about it, it is plain obvious... a receiver does not know whether someone is really transmitting or not. So when nothing is transmitted, it acts just as anybody on a audio system who wants to check if the source is plugged or not: the receiver increases the volume (gain) until it catches something. But when nobody really is transmitting, increasing gain eventually ends up amplifying noise, i.e. seemingly random 0s and 1s. As humans, we know we are hearing static and the input device is not transmitting. But the receiver is not able to know. Without proper calibration, the start of real data then gets buried in the noise, until the receiver manages to set its gain, back to actual transmission levels (i.e. it reduces the amplification until signal is just below saturation -- again, like a human who quickly turns the volume down after the source is plugged). Power IoT devices with solar energy, the $1.50 cheap way! Had to find an easy solution to power some of my low-power device, like the one on the right (it is a minimalist 433MHz receiver). A long time ago I bought a bunch of solar flashlight keyrings specifically for scavenging the parts. They proved to be better than my expectations, with a very convenient 37×22×1.1mm solar cell which gives 7V unloaded, and up to 8mA for tested loads of 1 and 100 ohms (it "rains fire" as we often say here in summer: specs are only 5.2mA~6.3mA at 3.4V~4.5V loaded). Admittedly, it is not much, but it is enough for a great lot of IoT devices, and given the size, it is just GREAT. 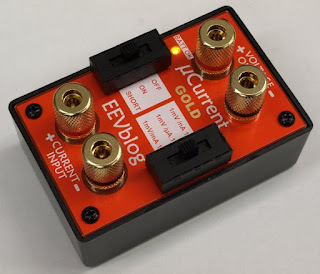 The original EEVblog µCurrent (David Jones). It is open source btw (see here). Nothing happened like I wanted to the last N days and had to work on unexpected stuff, like a remote water level alarm for our swimming pool after more leakages (the liner is 14 year old). 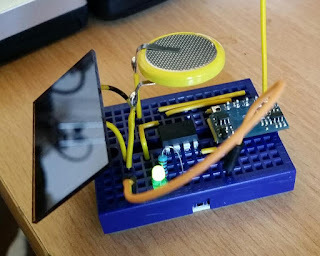 So I made an RF alarm, which is powered by a small ultracapacitor (0.47F) backed by a tiny 3x2cm solar panel I scavenged from a led keychain. I wanted it to be small, so I can duplicate the project and put sensors all around (I should end up at around 3x2x2 cm all included). But small means low power. Programming the chip, directly on the PCB (i.e. ICSP), via its shoulders. Note how the pogo pins compensate for approximate placements! 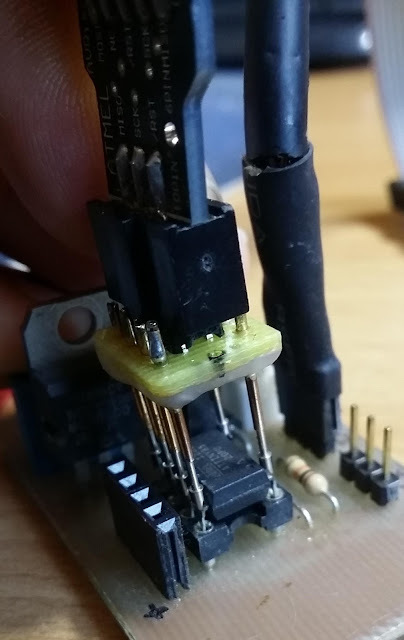 A long time ago, I made this little tool to help me upload code to Attiny85 AVR microcontrollers directly on the PCB (ICSP, i.e. in-circuit serial programming), but without even the need for a connector. It plugs into regular 6 pin adapters of USB ASP programmers, and it relies on so-called elastic/retractable "pogo pins" to make contact with the DIP8 chip. This is useful when you want a web application to be run straight out of booting process on a raspberry pi. You may use ''apt-get install unclutter'' instead of ''xwit'' above, to hide the cursor. Note: on NOOBS, ''.xinitrc'' does not seem to have any sort of effect, weirdly. When you want it to look more pro, you can redirect the boot process information to a secondary console, by changing ''tty1'' to ''tty2'' in ''/boot/cmdline''. You still can see it by pressing Control-Alt-F2 (then F7 to switch back to the grpahical terminal). This little board is an "inverse" shield, on which an Arduino Nano must be plugged to provide functionality. It offers the same functionality as a regular Arduino Uno or Duemilanove CNC shield, with the same power. 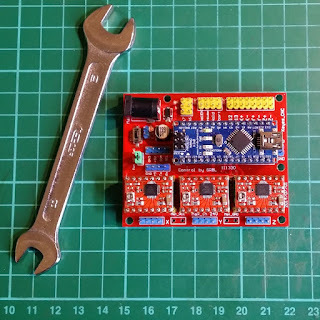 But the result is both extremely compact and cheap: less than 7€ for the naked shield (or here), and about 22€/$25 for a complete setup: the shield plus an Arduino Nano and basic Pololu stepper drivers (here or there if you want ebay -- but the latter seems to be a reseller). 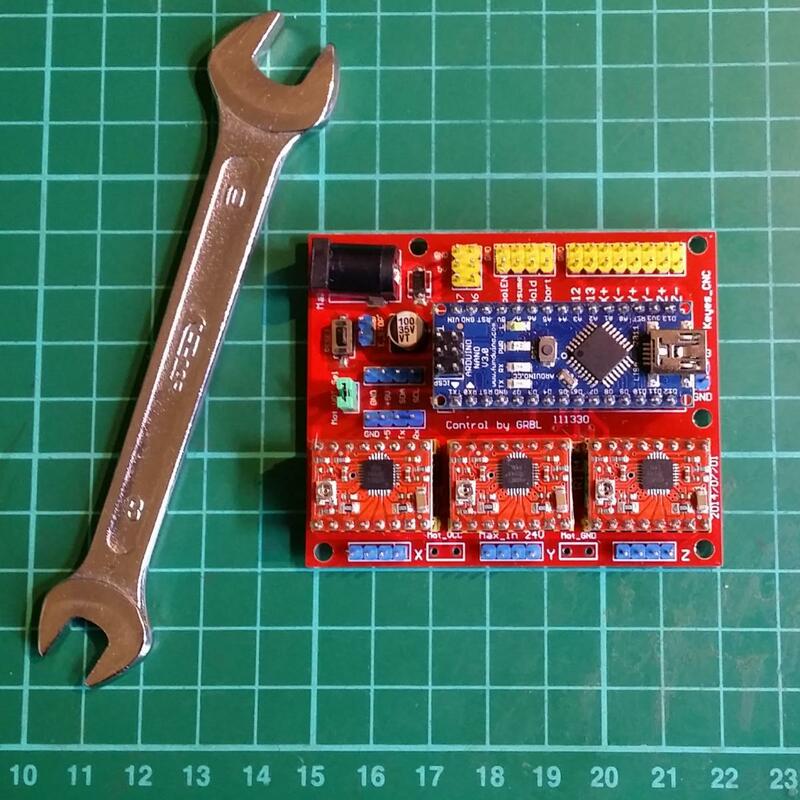 And for once, it seems to come from a Chinese seller who designs and makes its own boards, which I tend to like. Add a few Dupont wires (well, Jump wire is the generic name) and you are ready to go! Fifteen years ago it would have cost thousands of euros! Here is how I verify that my pcbgcode settings are good, and more precisely, how accurate the "etched" traces are, in relation to the depth of cut. The latter is not easy to set when using V-shaped mill bits, since the deeper, the wider the traces. The one below, between two pads is only 0.01 inch, i.e. 10 mils, and it was properly milled. 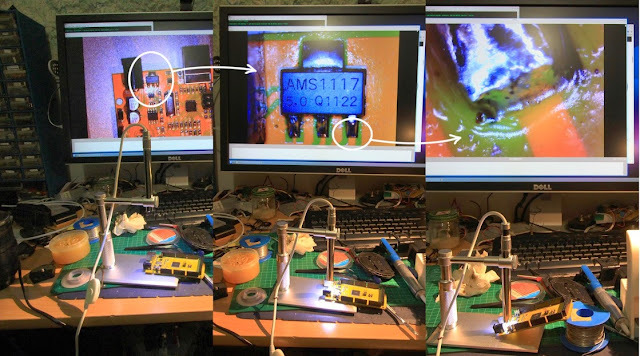 The trick was to overlay the live image from an USB microscope over the Eagle board design, scaling the windows appropriately. I applied 50% transparency to the webcam window (I am using ''cheese'' here), which is trivial with Kubuntu / linux. The microscope is an Andonstar, a great & cheap tool, for which I wrote a micro-review here. By the way, I will no more use these "titanium" coated V mill bits, as they produce rough edges compared to the cheaper ones I bought earlier on ebay. This board is just ugly. 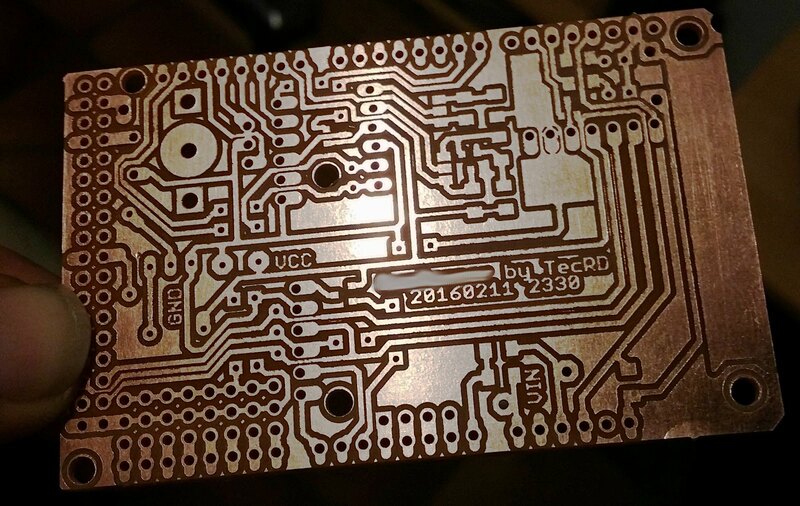 Well, the PCB copper clad is also a super cheap one (I bought a lot "50Pcs 70 x 100 x 1.5mm FR-4 Single Side Copper Clad PCB Laminate Board" for $37 on ebay: I could not expect much but they are NOT FR4 but old style bakelite, not fiber glass! Much more fragile, not really worth). Also my holes are slightly off-center, but not bad enough to be fatal here. Cheap 0.8 mm drills? 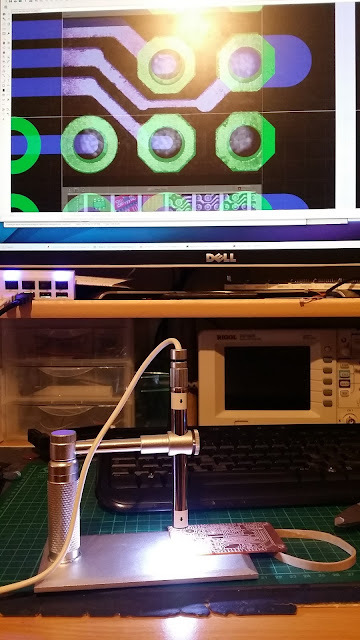 The Andonstar USB microscope is definitely a great tool to double check surface mount components among other uses. 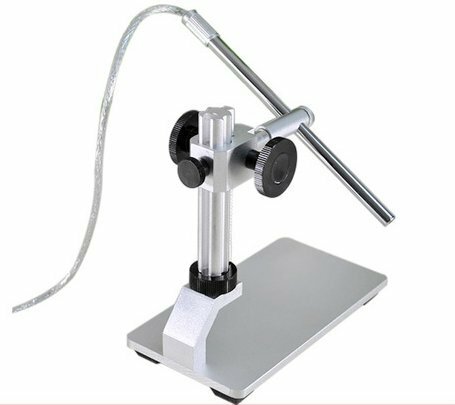 I bought it from them on Banggood for about $50 (yep, it is not a low cost low quality USB endoscope). The zoom range of an Andonstar USB microscope! And excellent tool for its price. the light intensity can be tuned down to zero. Sometimes the object is too reflective and it "flattens" the image. Then, an external lateral light beam is better. a stable support with fast height adjustment (the stick can be raised/lowered quickly from the "main" tower) PLUS a fine thumbwheel on top of the camera barrel. still the main pole has a bit of free play left, which can be felt when tuning with the thumb wheel at high zoom ratios (the small wheel is very firm). And there is no easy way to hack this. Update: this slightly more expensive $85 version (A1-200W-B) addresses this with a definitive improvement. It uses the same microscope, but the already good stands looks way better. I would buy this one if I had to buy again. I bought it. It is not perfect (the barrel tilts too easily, and there is a slight free play in the focus ring -- but it is good). Final note: this microscope is featured in a video by Dave on EEVblog (a nice source of information by the way). Note: the above scope is excellent for super tiny operations and also for finely checking the results. 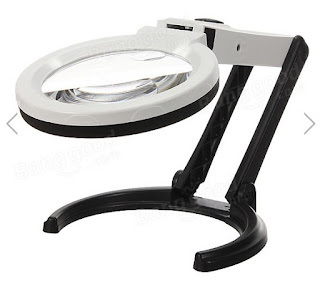 But I often rely on a "two eye", cheaper magnifier like the one below ($9!). It works well enough for 1206 SMT soldering jobs for example. Having the depth is much more comfortable, and it is easier to switch from the view on the board to the view through the lens than to look at a flat video on the screen while your hands are elsewhere. It does work (hence this review), but it is not intuitive at first. 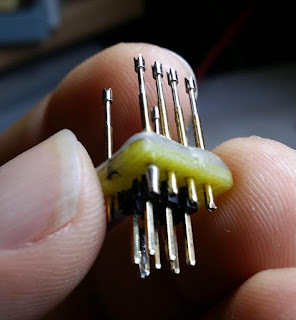 for bigger jobs like large SMT soldering. You can look through the lens with both eyes so you get the sense of depth back. But it certainly does not zoom as much as the Andonstar. Item: "3m Strong Permanent Double Sided Super Sticky Tape Roll"
Comment: "Counterfeit tape Not the real 3M tape by Scotch Knock off"
Ref: check for "meduino" on ebay, or "mega2560 pro mini". 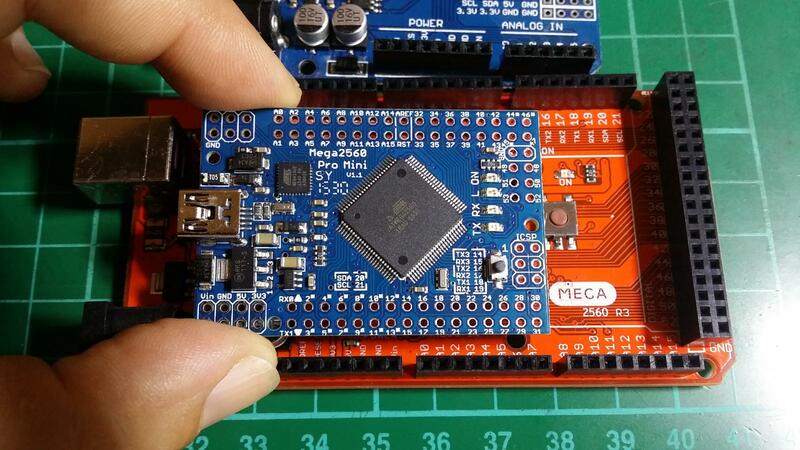 There is also the "Mega2560-CORE mini" which needs and FTDI cable (no USB), and which is slightly cheaper. I bought the one below for $16 S&H included, and it took only 9 days from china to FR with tracking, impressive. 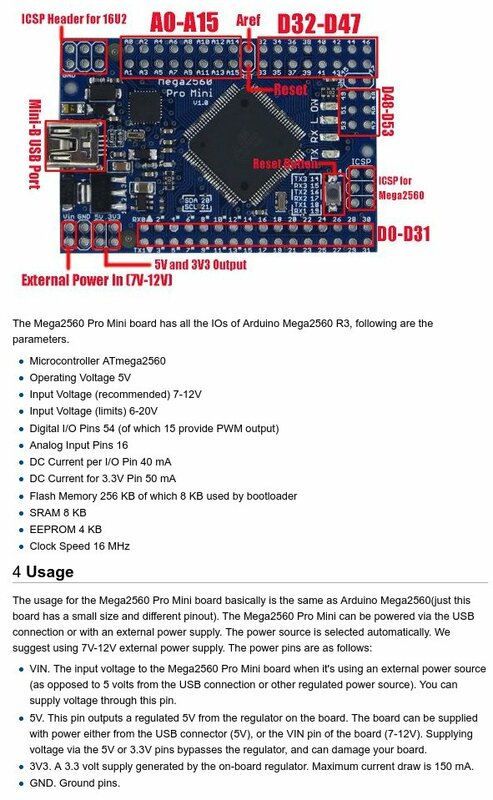 The Arduino Mega 2560 Pro Mini (aka Meduino) is a small factor regular Arduino Mega.